Your PC case will be the new home of all your expensive computer hardware and is responsible for protecting and cooling them, so even though it won’t directly affect gaming performance it’s still an important piece of the puzzle for a new custom build. You will want to get your hands on the very best case for gaming for your particular budget, and by that I mean one that is functional, sturdy, and visually-pleasing too. But not all cases are created equal and in this article we will take a comprehensive look at the important factors when choosing the right case for your needs. You will most likely have your case for years so you will want to make a wise purchase and pick a good one with one eye on the future to take into account any future upgrades you may wish to make. 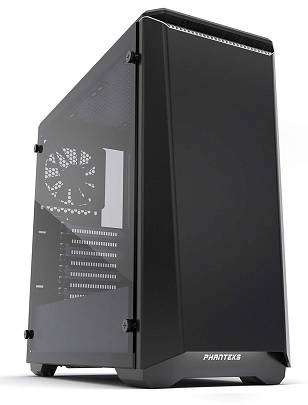 Most of you will already know this, but your case must be able to fit your motherboard. All motherboards have what is known as a ‘form factor’, which is a size standard that the manufacturers follow. The most common form factor is ATX. 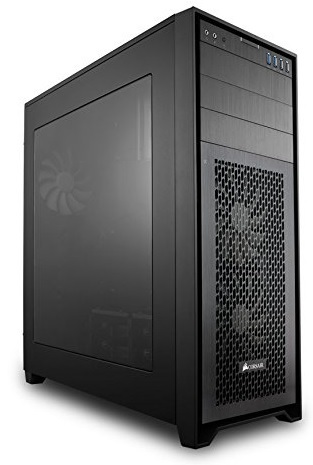 So if you have an ATX motherboard, which is more than likely, then you must choose a case that supports an ATX motherboard. There are three main choices here, mini tower, mid tower, or full tower. The decision will come down to the components you want to fit inside of your build, how portable you want the machine to be, how much airflow you want/need, and any potential future upgrades you wanna make later on that would need the room. 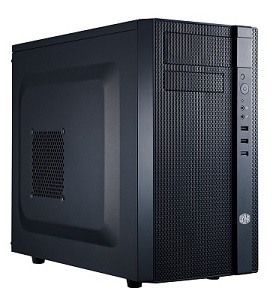 You will need a case that is large enough to store all your components, with room for future upgrades. 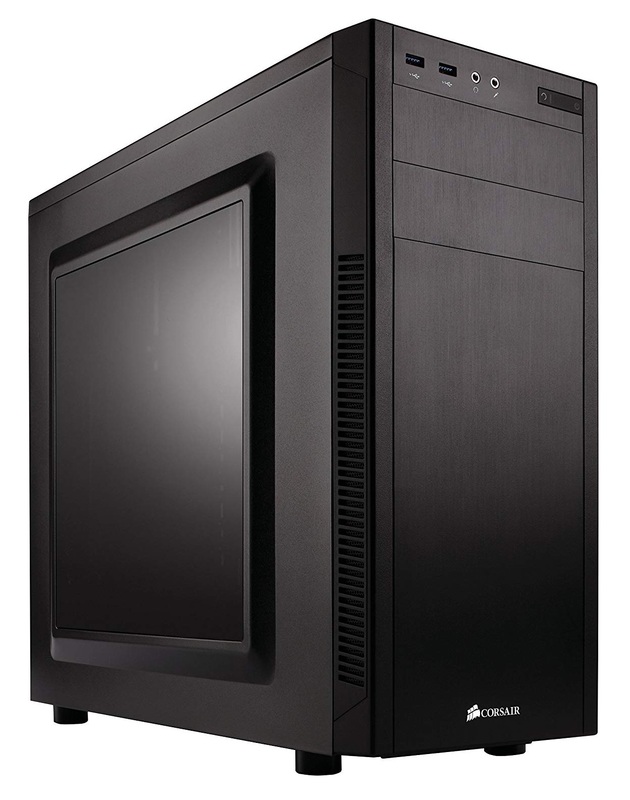 The most common size is ATX Mid-Tower which contains more than enough space for the typical gaming build. 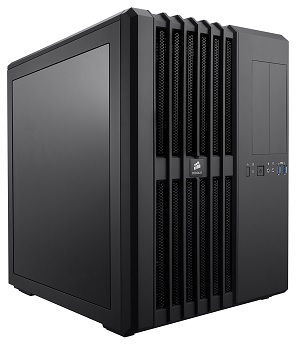 If you need even more room or have special needs for your gaming PC you may need an ATX Full-Tower case instead. Personal preference and how you will use your PC also comes into play. 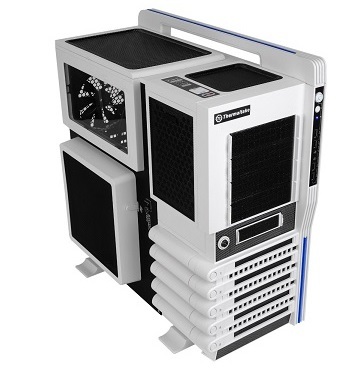 For example if you want your build to be easily portable to take to LAN parties or a friends house, a full tower is going to be a huge pain as they can resemble a small dinosaur in both size and weight. A mini tower would be ideal for this situation, but you will need to get smaller components to be able to fit them all inside. For the majority of those building a typical gaming desktop setup with standard sized components, a mid or full tower is ideal to give yourself plenty of room to work with and allow for efficient cooling. Mid towers are the most popular choice and offer a good balance between overall case size, which is not too big and not too small, and the internal space which can fit the majority of component selections with room to spare for future upgrades. The actual material that your case is made of affects the overall durability and quality, as well as its potential for cooling your system. Cheaper cases tend to be made of just plastic which isn't an optimal choice, but if you’re on a super tight budget it might be your only option. Just be smart in your search of a budget case and you'll do alright. But for higher quality gaming computer cases, they're made of metals such as aluminium or steel which is the ideal way to go for a high-end system that's built to last, and they're not just more solid and durable but provide more effective cooling than plastic cases also. 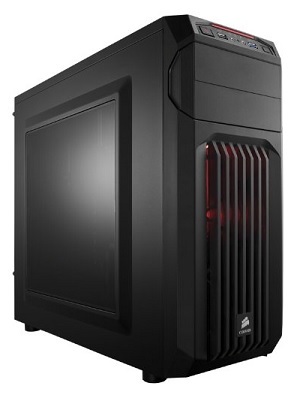 Like most things, choosing the best case will come down to your budget and you'll very often get what you pay for in this game. But there definitely are good value for money cases in all price tiers if you know where and what to look for. 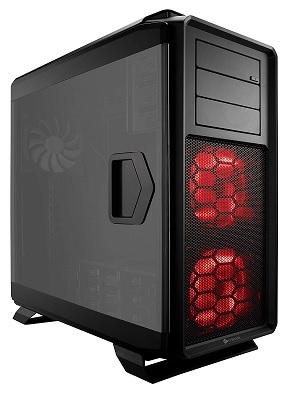 The cooling efficiency of a case is another important factor when choosing the best case for gaming. High-performing PCs built for gaming will produce more heat than the average PC, so you need a way to effectively reduce this heat to cool your system and protect your components. You should aim to get a case that has good natural ventilation, which is determined by the actual shape and structure of the case. A good way to find out whether a particular case is heat-friendly is by reading customer reviews from different sources (amazon and newegg are great for this). Although don’t just form your opinion from a single review and try to get a balanced perspective from reading multiple reviews. Expert hardware review sites are also useful here, or you can check out my own case reviews for ideas. 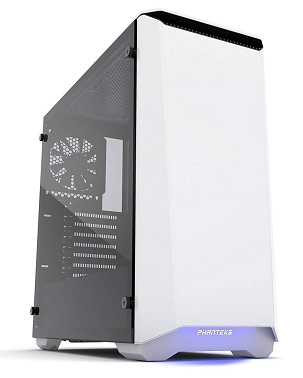 A good gaming PC case will have at least one or two decent-quality built-in case fans for proper airflow to cool down your system and also fan ports for additional fans. 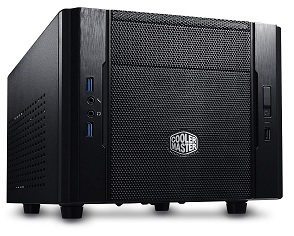 You don’t want your precious components to overheat and risk getting damaged, so getting a case that is known for good cooling is a good idea especially for a high performance build. 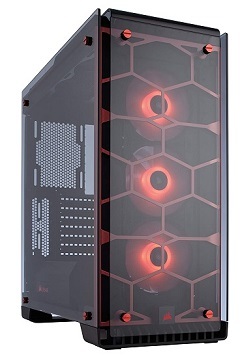 If the look of your computer case is important to you, there are a many different cool styles and models out there so pick one that you really like the look of as you'll usually have your case for a long time. Some cases have cool-looking features like LED lights and see-through panels which can look awesome when a build is up and running. But some builders will just prefer a very simple design. 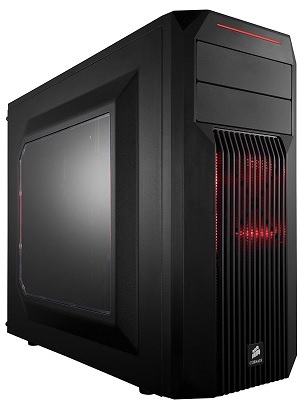 Overall, choosing the best computer case for your gaming PC comes down more to personal preference than perhaps any other PC component as opinions vary from gamer to gamer as to which case looks best. 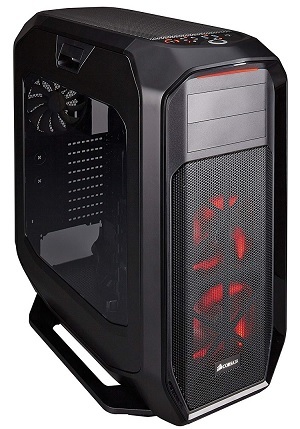 As well as the case’s natural airflow capability, which you should investigate a little if you're hell-bent on getting the absolute best gaming computer case possible, the case fans play a fair part in the overall cooling of your system and should be considered when choosing a case as well. There is no set number of fans that you need as every build is different, and fans vary in size and speed too. The larger the fan the better, as a large fans produce less noise too than a smaller one as they don't have to work as hard/spin as fast. 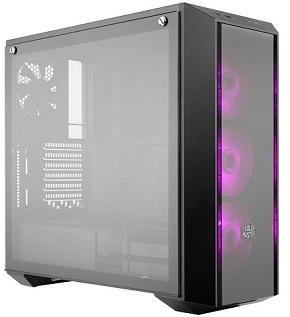 Most good gaming PC cases will come with at least 1-2 included fans, and this may be all the cooling you need if you're just building a typical stock-standard gaming build, and whether or not you should buy additional case fans will depend on your particular parts and the specific case in question (ie how good is its natural airflow and cooling potential). But if you're wanting LED lights in your build, and the built-in case fans that a case comes with isn't LED, then you'll want to look at swapping the built-in fans with your own LED fans that you buy. Cases have different sized bays for installing hard drives, solid state drives, and optical drives such as DVD or Blu-ray drives. Most modern cases will have plenty of bays for any type of setup but if you have specific needs then make sure you pick a case that covers your bases. Computer cases also come with a differing number of bays (not just size). 5.25” bays are required for any CD/DVD/Blu-ray drives, 3.5" are for HDDs or floppy drives, and 2.5" drive bays are for SSDs. Most cases on the market these days are packed full of features and usually contain enough bays for most needs, but check to make sure if you're installing any add-on components for your build, especially if you want an optical drive as many modern cases don't come with them anymore (as they're a totally optional component in a PC these days due to the rise of buying and downloading games online). 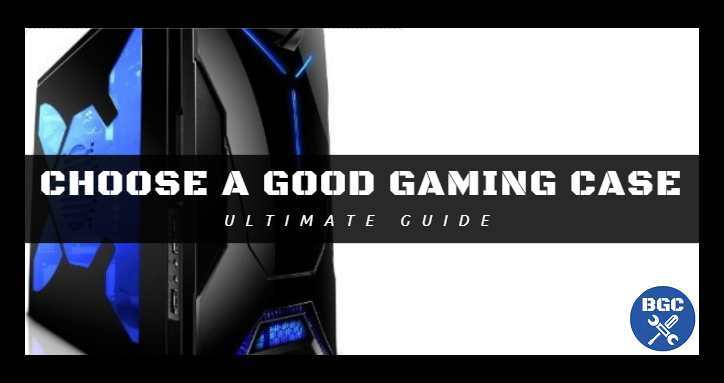 There are a ton of other case features you will find in PC cases these days so let’s take a look at the most common ones you should familiarize yourself with when choosing the best case for gaming. Tool-less Design: This can be a great feature for beginners because it allows for very straightforward assembling without having to use screws and a screwdriver. Some builders would argue though that some tool-free cases, if not designed well, can be a hassle as they won’t secure your components as well as using screws will. Cable management: Another factor to consider when picking the best gaming computer case is finding out from amateur/professional reviews what cable management is like to deal with using this particular case. Some cases are easier to work with and provide better cable management than others, so if this is important to you then choose a case that is known for effective cable management. Good cable management maximizes airflow inside of your case, and also makes a completed build look infinitely crisper and cooler than a case full of messy cables especially if your case has a see-through panel to show off the finished powerhouse system. Dust Filter: Having a removable dust filter in your case is handy for managing dust, especially if it’s one that you can safely cleanse in running water (remember to leave it to completely dry before putting it back in your case). USB Ports: Again, most decent cases will have ample front and rear USB ports to satisfy most, but if it’s important to you and/or you plan on utilizing a small army of USB devices then it’s a good idea to check how many ports there are, and considering whether it has enough front-access USB ports for your desires. USB 3.0 support is also something you’re going to want these days. Fan Speed Controller: Besides looking cool, a fan controller allows you to manually adjust how fast your case fans run. When your system is not in full throttle you can slow down your fans to reduce noise, and then crank them up when gaming for maximum cooling. Only recommended for high-end builders and enthusiasts wanting cool bonus features. Water Cooling Potential: Only recommended for advanced builders, a liquid cooling setup can maximize cooling for monster high-end systems. If you’re going down this route you’ll need to select a suitable case that can accommodate any large water cooling radiators, and that specifically mentions support for water cooling. See our water cooling PC build guide for more. 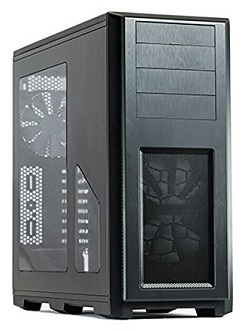 If you’re building a budget gaming build then it shouldn’t produce too much extra heat nor require much space inside, and therefore a decent yet cheap value-for-money case will usually do the trick (that likely won't have the coolest design but that's a sacrifice you gotta make at that price point). 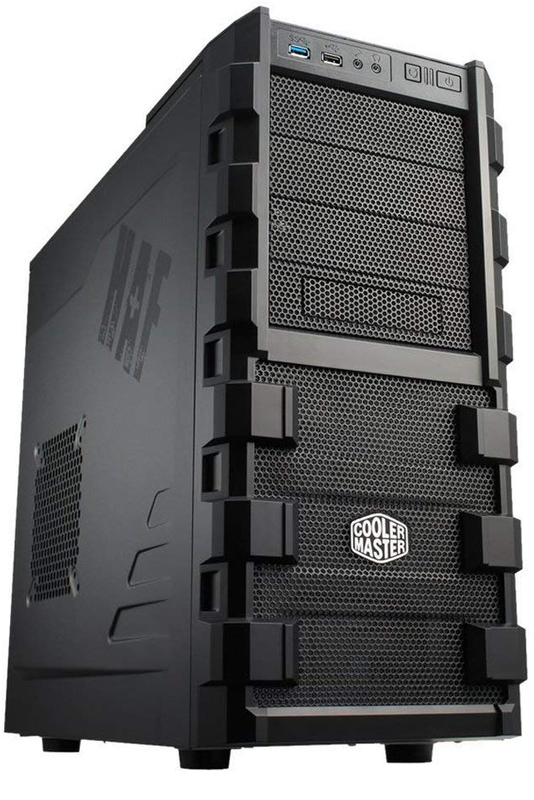 On the other hand if you are putting together a beast of a gaming system then you’ll need something more suitable that can efficiently, effectively and safely house all of your expensive components for a long time. 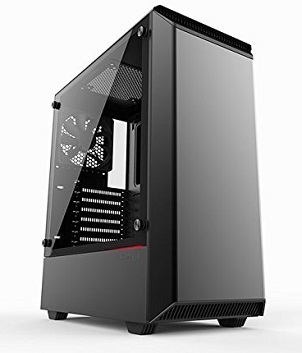 To give you a general idea of how much of your overall budget you should allocate to the case, with a tight budget of under $500 for your build you should be able to get away with a case between $30-50, a medium build of around $500-800 can afford a better case around $50-80, and for a high-end build of anything over $800 you’ll most likely want a top-notch case which usually start at around $80. These are just general guidelines as you can get any case you want so long as it will fit your components and take good care of them, but you’ll tend to find these ranges are fairly accurate and it gives you something to work with especially for the newbies out there. 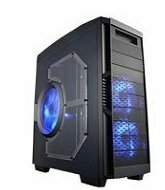 Hopefully after reading this article you are now in a great position to buy the very best case for gaming for your particular needs and wants. 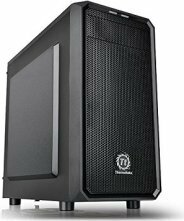 Last but not least, here are some of our favorite current recommended computer casess in terms of overall value for money for builders in our humble opinion. The following are all excellent buys but keep your eyes open as you plan your build as there are plenty of good alternatives out there that will serve you well. Good luck on your hunt, and I hope this case buying guide has helped you in some little way.